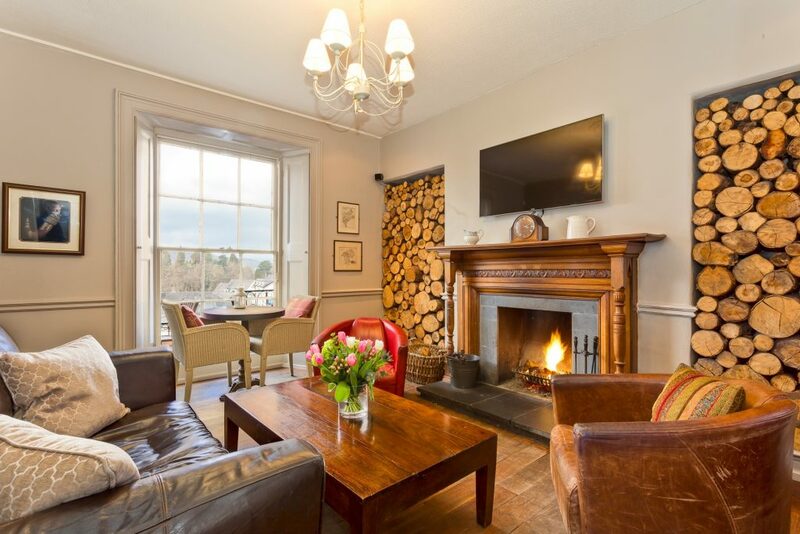 Stylish Lakeland hotel and pub perched on the side of the hill in Bowness. 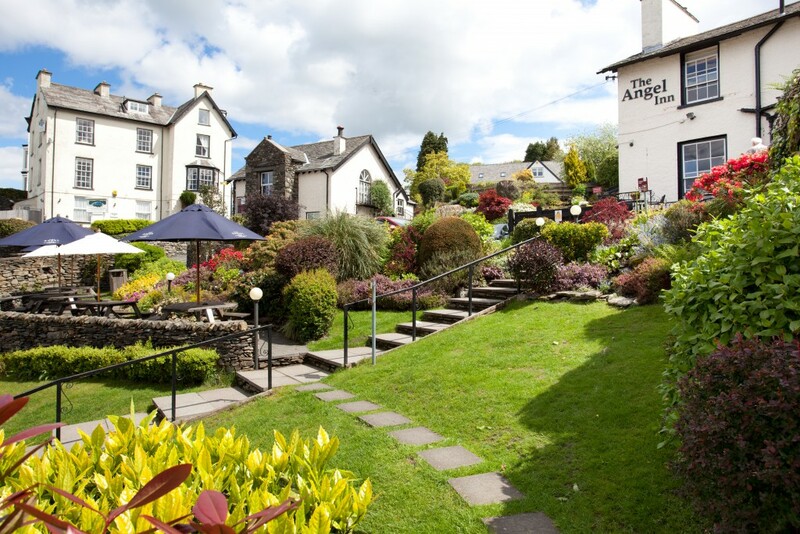 The Angel Inn is perched on the side of a hill in the centre of Bowness and offers the best of Lakeland hospitality, whether you are coming for a relaxing break, stopping off for a quick beer, sitting down to a long lunch or evening meal or just popping your head in to take a look around. 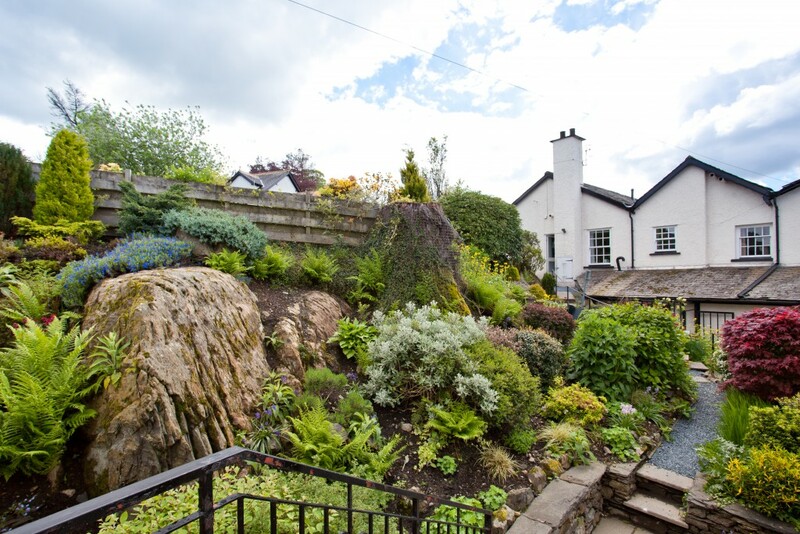 Only a couple of minutes' walk from Lake Windermere, it's set within extensive gardens and grounds with fantastic views. 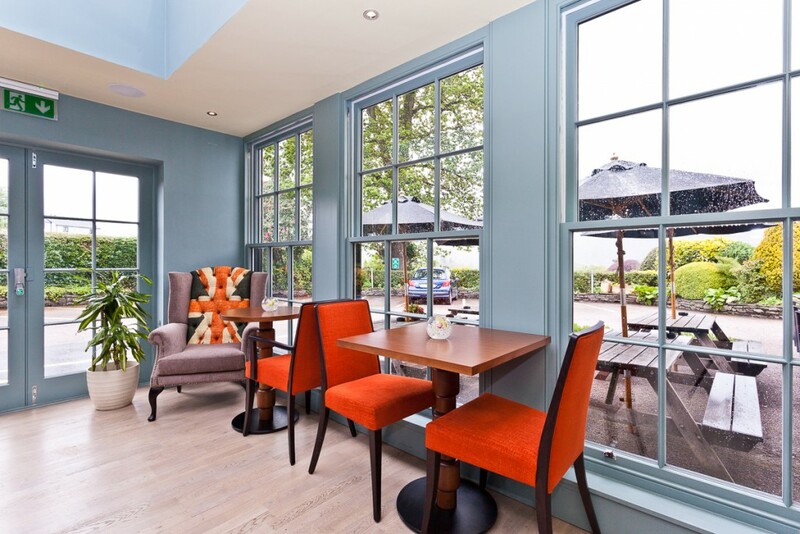 There is a lovely al fresco dining area too, and the interiors are stylish and modern. 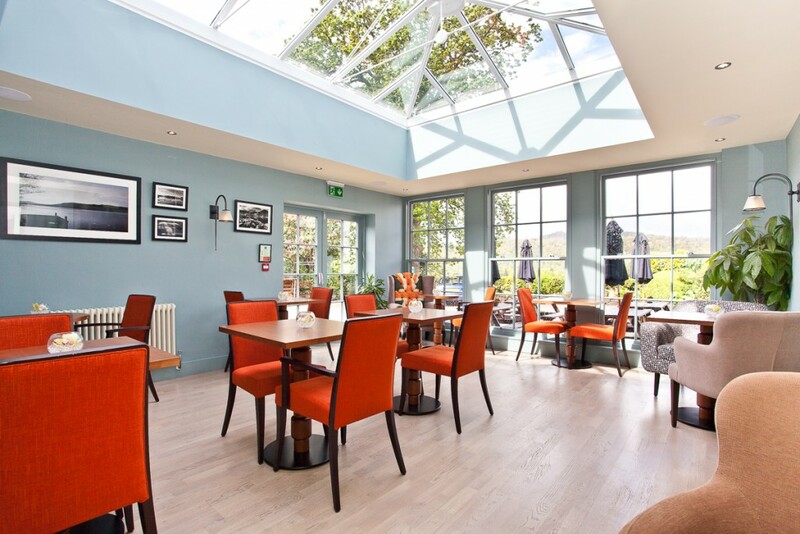 The team of chefs use local seasonal produce to cater to a variety of tastes and you can eat in either the restaurant, lounges, conservatory or terraced garden. 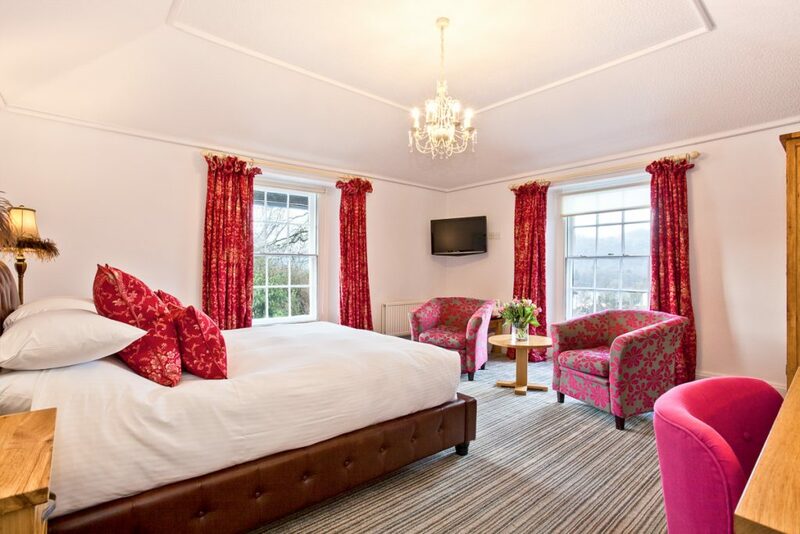 The Angel Inn also has 15 ensuite rooms with free access to the local leisure club with pool, sauna, jacuzzi and gym. Open every day from 8.30am. 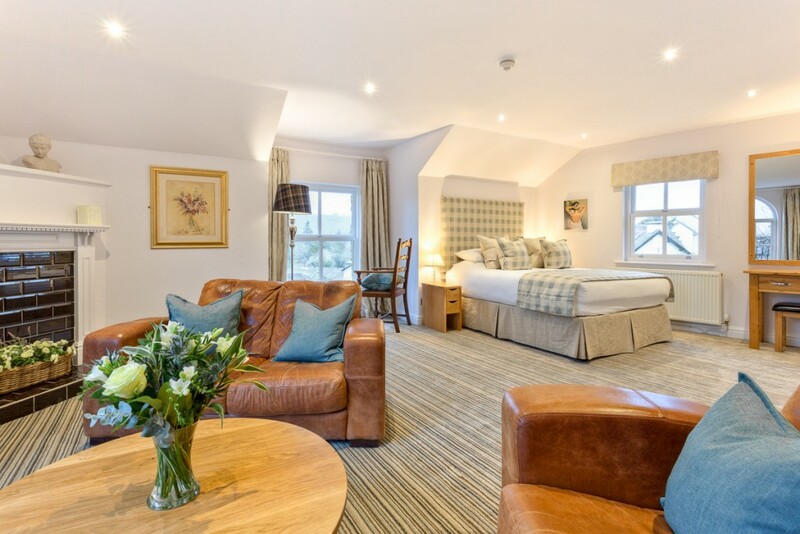 If you are coming to stay with us why not take advantage of our dinner, bed and breakfast package, available Monday to Thursday. 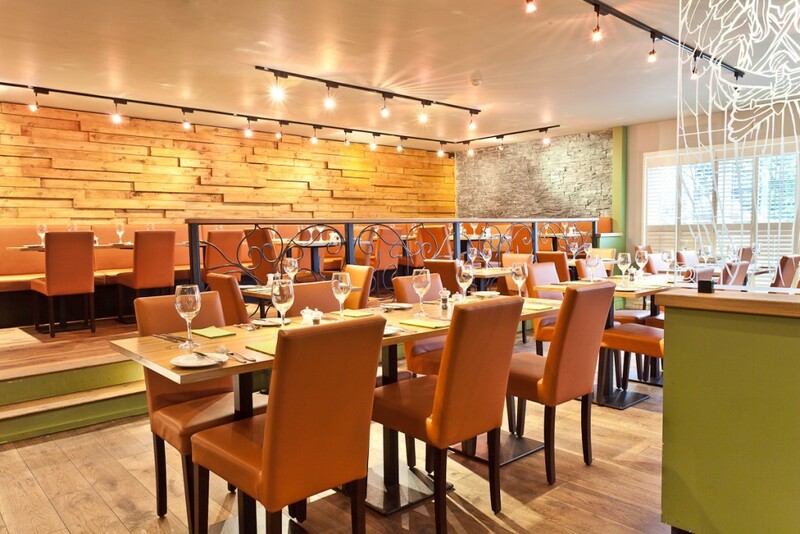 Have a 3 course meal in our restaurant for £21.95 per person. 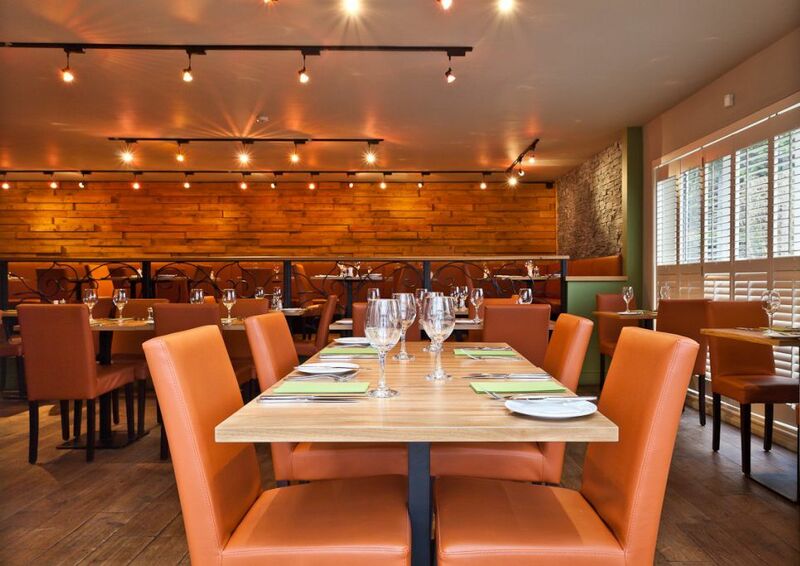 You are free to choose any starter, any main course under £15.00 and any dessert excluding cheese. 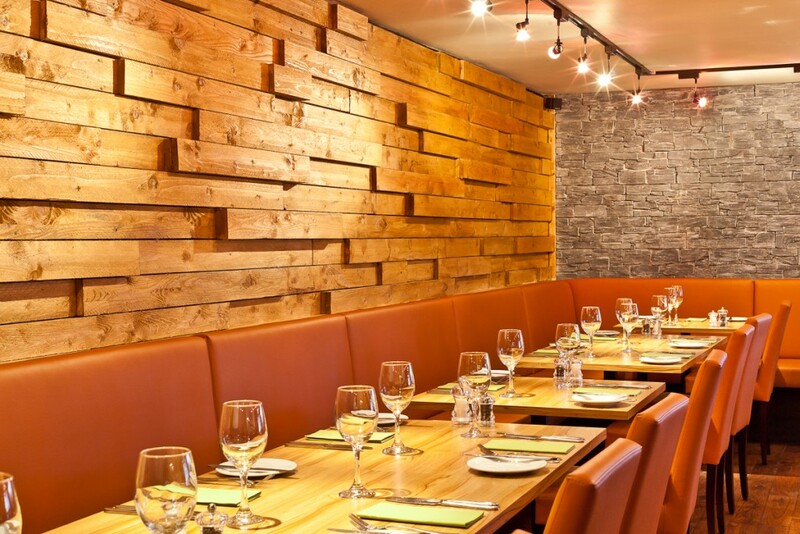 Please call to add dinner to your reservation or make sure you add it as a booking extra when you book online. Terms and Conditions of Dinner Bed and Breakfast. the package can only be added to meals taken in our restaurant. We can not guarantee that your preferred dining time will be available so please contact us as soon as possible to reserve a table. Please note dinner bed and breakfast reservations will not be accepted for New Years Eve or Valentines Day. Have often looked up at the Angel from the main street at Bowness but never quite made it up the hill. Big mistake! 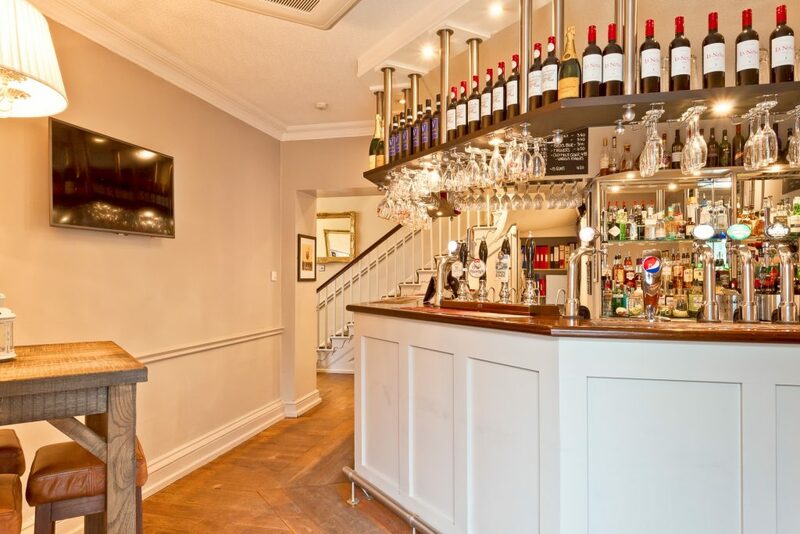 It offers something different from the other pubs, tearooms and restaurants in the town and judging by the crowd both outside and in on a miserable winter’s day, the word is out. I can imagine in summer it will be really busy with people enjoying the fab views out over the lake. Give it a try. Enjoy a wonderful couple of days here. 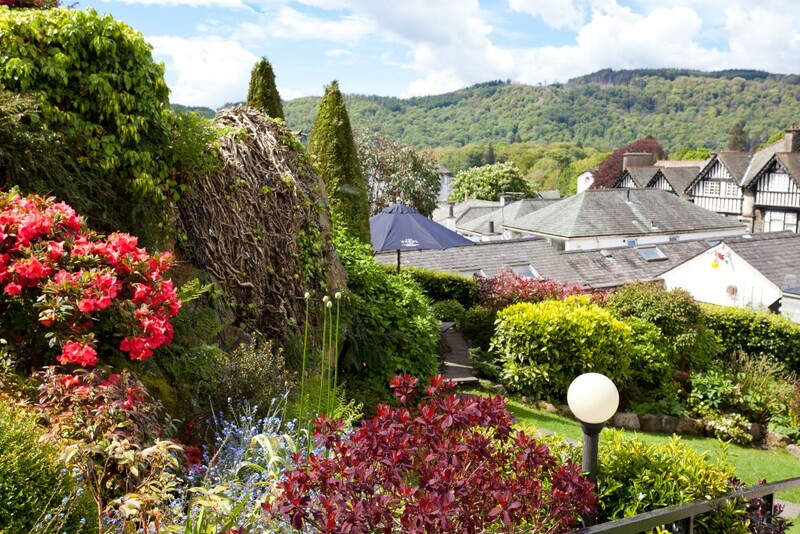 Great spot in the heart of Bowness. Will return and recommend. 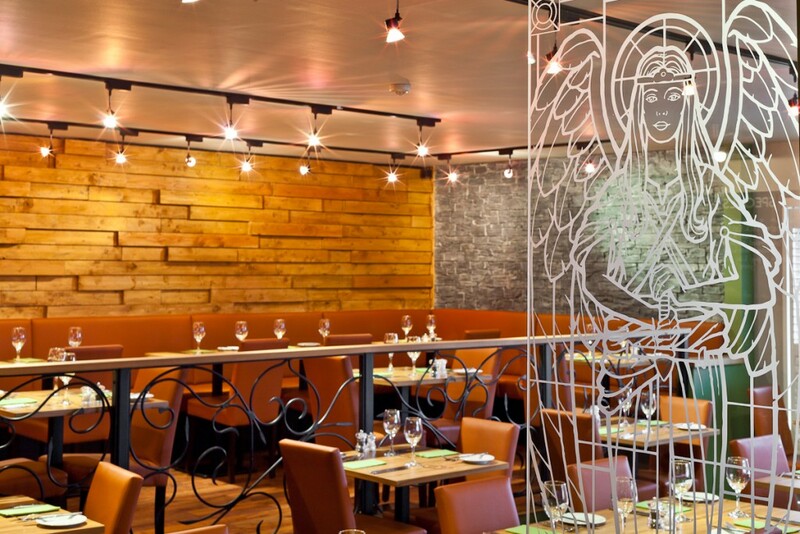 We ate here as a couple with a young baby and found the staff to be very friendly and accommodating. My partner had belly pork and I had the veal and found it very tasty. The decor is very nice and seems a welcoming family place to eat with plenty of room. Would recommend ! 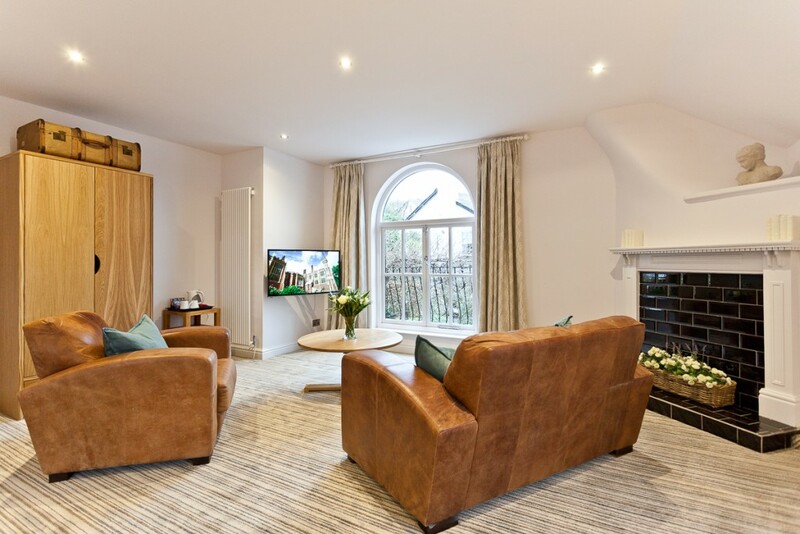 Great place to stay if you want to be in the thick of it in Bowness. 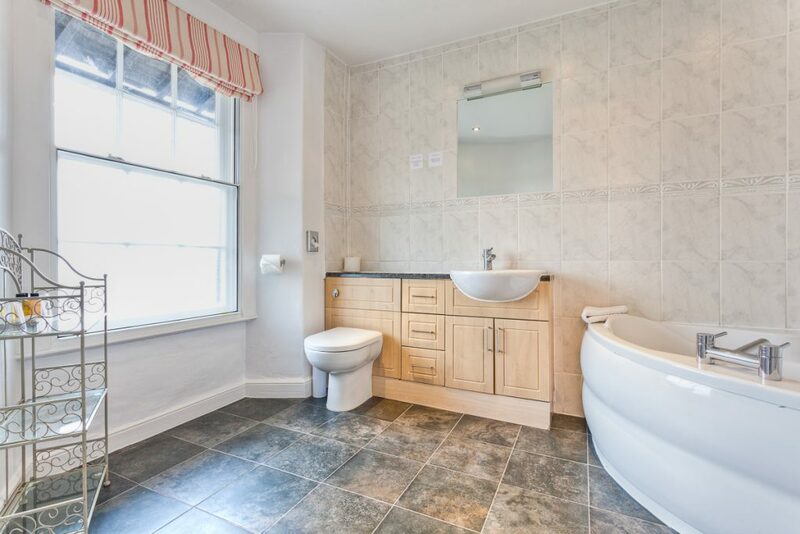 Contemporary styling in the lakes is fairly rare and this place has it. 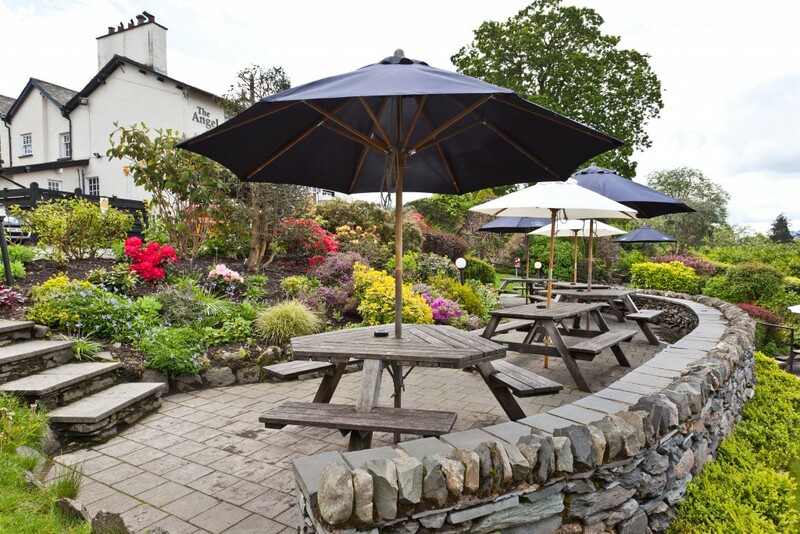 A well presented bar/restaurant, with a wonderful outdoor area. A nice selection of wines, and an interesting food menu. visited a few times to drink but only ate there once as i was a little disappointed at the meal i had at lunchtime, i thought it was a little overpriced for what i got, although it was well presented. had i had more time however i would have probably visited again for an evening meal to check out what the evening service was like. What a wonderful end to our holiday. Stumbled across the Angel Inn by accident. Sat outside on the terrace and had a lovely meal with my wife and two young boys. All the food was freshly cooked and well presented on the plates. Best looking and most tasty fish and chips I've had in a long time and my boys couldn't get enough of the chicken goujons. 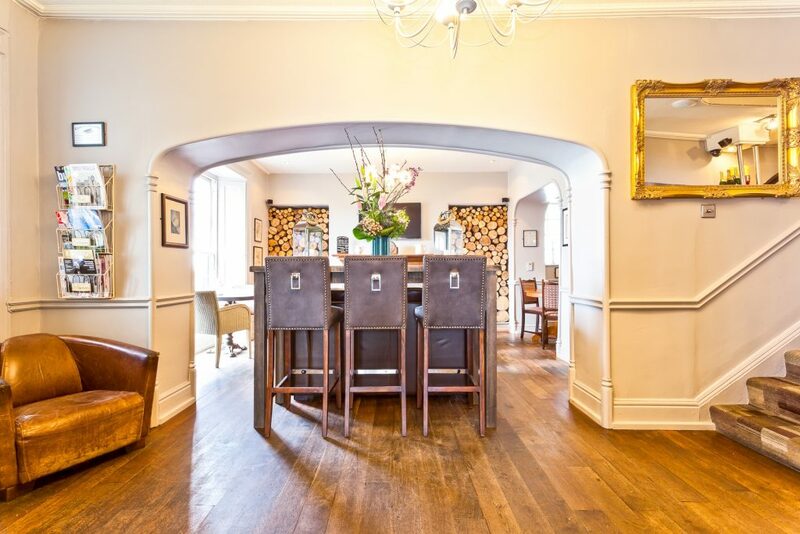 Inside the inn was even more impressive with cosy lounging areas and a modern dining area and bar. Service was very good and staff friendly. Would even consider staying there. Recommend it to anyone wanting something more than pub grub. 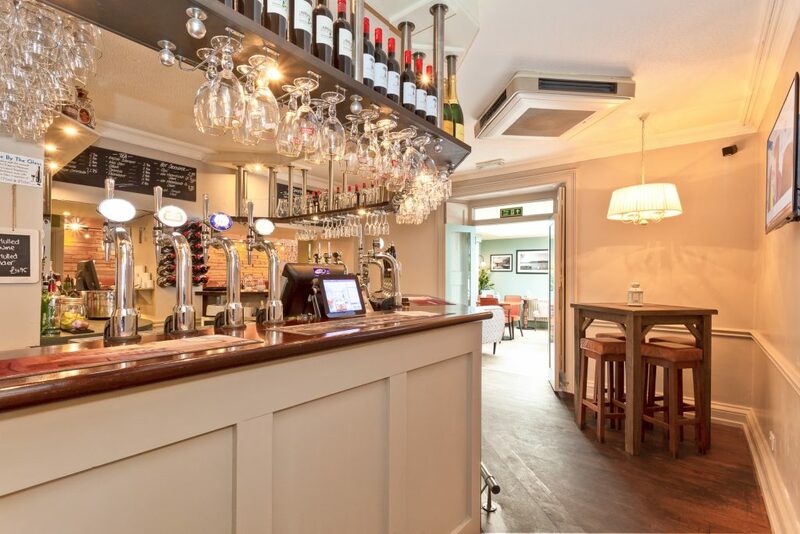 We were surprised to find a contempory style pub in Windermere. The Angel is perched on the side of a hill in the town centre. 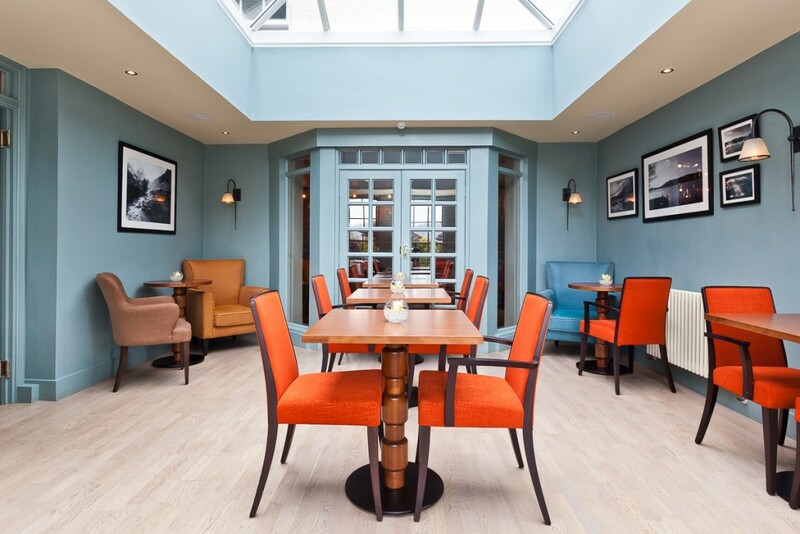 The great Al Fresco area affords pleasant views and the interior has a modern city bar feel but still retains the rustic touches you'd expect in the Lakes. 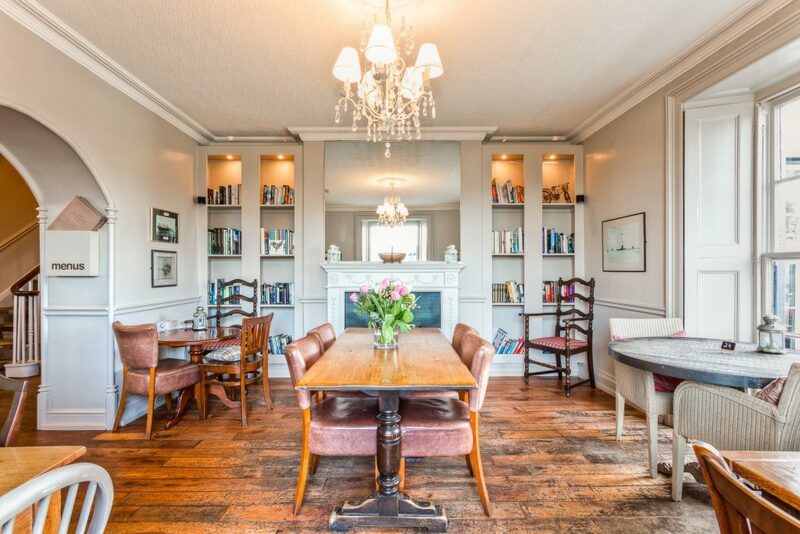 The food is pub style but with more of a fine dining approach to presentation. Give it a go!